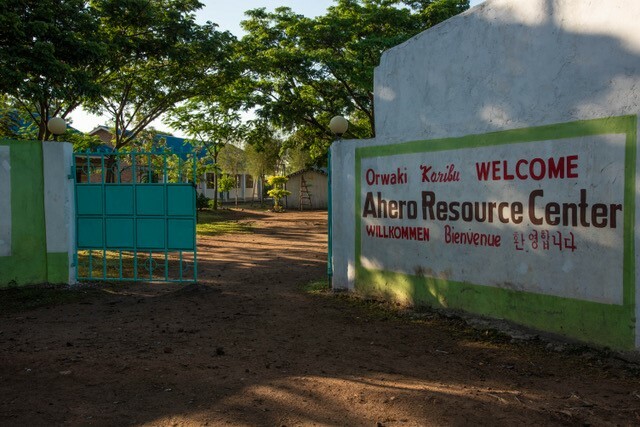 The Ahero Project is helping a minimum of 75 HIV/AIDS Orphans and Vulnerable Children (OVC’s) from poor households, aged between 2-5 years per year to receive structured, age appropriate care, including a nutrition programme where the children will be provided with food every day, which aids with the learning process. 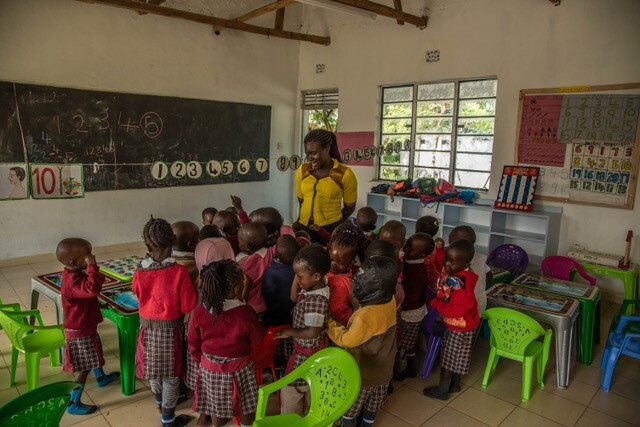 The Early Childhood Development Centre based in Kisumu County, Kenya provides pre-primary level education to 79 HIV/AIDS Orphans and Vulnerable Children (OVC) aged between 2-5 years from the Ahero Ward. It now has 3 operational classrooms which are fully equipped with educational toys and the children attending get 2 wholesome meals a day. In the next 6 months AIDS Orphan will be building a further two classrooms. By May 2019, after more enrollment, the school will be catering for 120 children. 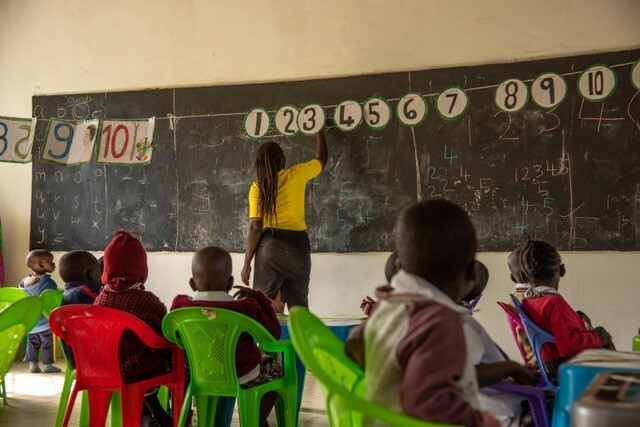 Through this support the children will be better placed to enter government primary school education on an equal footing, thus improving the longer term prospects of remaining in the education system and providing greater life choices into adulthood. Phyllis, 3-year-old son Ben and his sister are all HIV+ they obtain all their medications from the government hospital every two months. 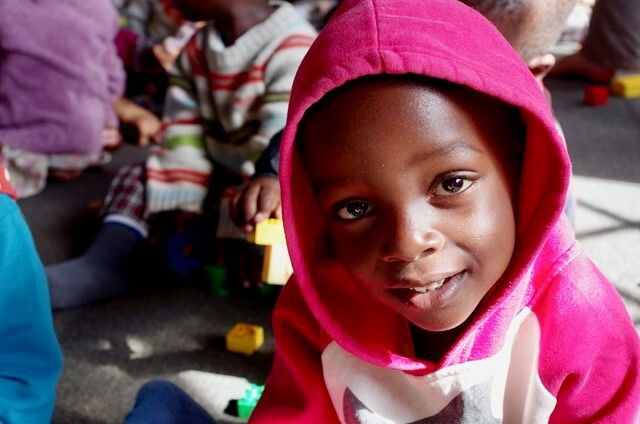 According to his mother, Ben’s life has changed since he started attending the ECD and is a beneficiary of the feeding programme. He is being educated and is able to speak well and identify various body parts and letters. Ben acquired his uniform from one of the mentors from his mother’s hospital support group, his included the uniform, socks and shoes but no sweater. Phyllis has been told a sweater costs 600/- (£5 approx. ), which is very challenging for her to save. 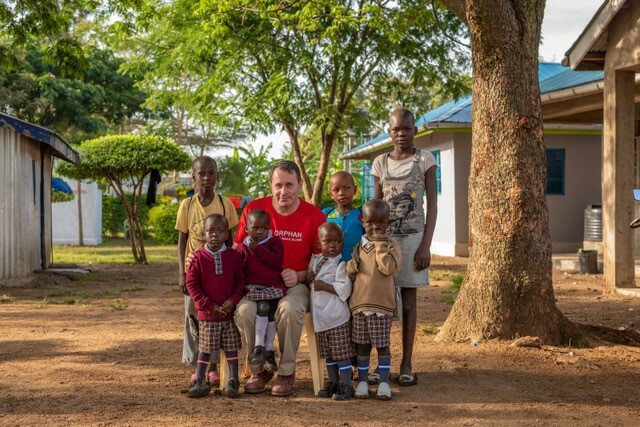 Phyllis has a total of five children, in addition to, caring for her husband’s first children as a result of their mother dying of cervical cancer in 2008. 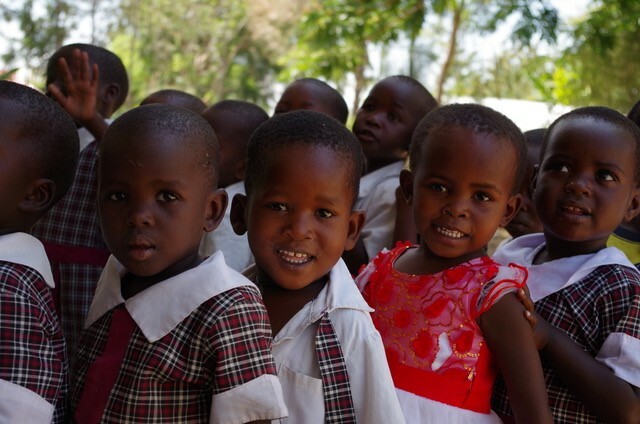 These children attend the local primary and secondary school. Her second husband died of AIDS as a result from stopping his medication. Phyllis finds caring for so many children highly demanding, especially, with trying to obtain enough food to feed the whole family. Her income is sourced from working on local rice farms, selling firewood and making charcoal. In addition, her challenges stem from the discrimination she encounters everyday due to her HIV status, as there remains a high level of stigma within the village. Ben, although taking medication, still suffers from severe headaches, convulsions and high fevers. After losing his father, Ben, at only 3 years is aware about the benefits of the medication, that he continues to remind his mother to take his and her medications every night. Ben’s mother was in disbelief when the Early Childhood Development center started and is overjoyed with the support it offers the children. She believes it allows the children to strive to succeed. Ben is fascinated with aeroplanes and aspires to be a pilot when he is older. Angelina is a 30-year-old mother, married at 15, she has seven children aged between 16 and 15 months. Her husband was killed, leaving her solely responsible over the whole family. 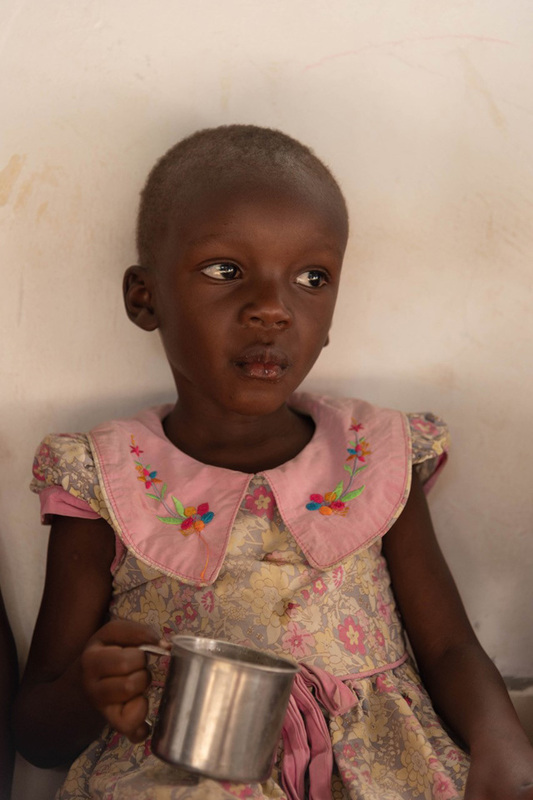 Angelina and her 3-year-old daughter, Daisy, are both HIV+ Daisy attends the ECD and is doing extremely well. 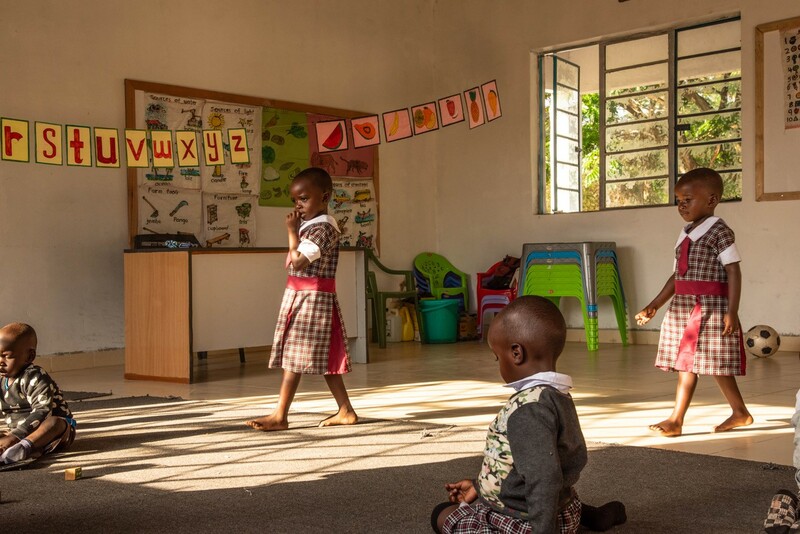 With the responsibility of raising 7 children, which can be economically draining, Angelina is relieved that Daisy is being taken care of and supported educationally. Brothers Peter (9) and Adam (7) were found in the care of their sickly grandfather after their mother died of AIDS and their father was sent to prison. They were living in abject poverty, both of them malnourished and crawling with lice. 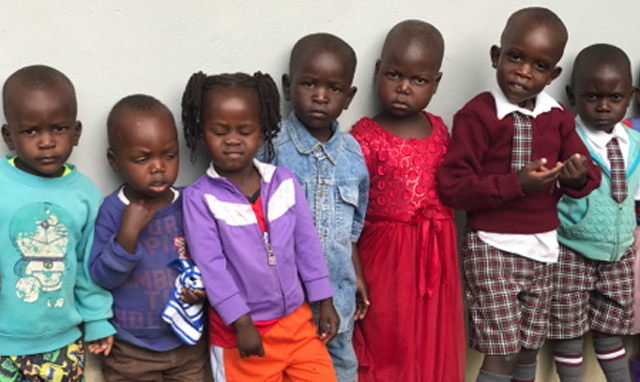 The boys had never been to school and only spoke their mother tongue (Meru) so they were initially admitted to the reception class. They have progressed in leaps and bounds! They’re receiving medical treatment, eating three decent meals a day and their health is improving dramatically. 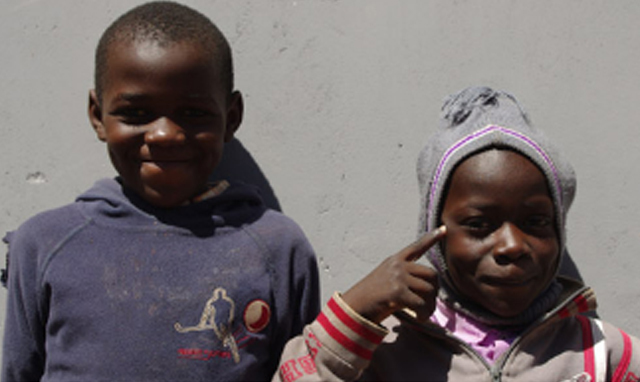 With AiDS Orphan’s help, they now both attend school and are properly cared for at our Neema Rescue House. 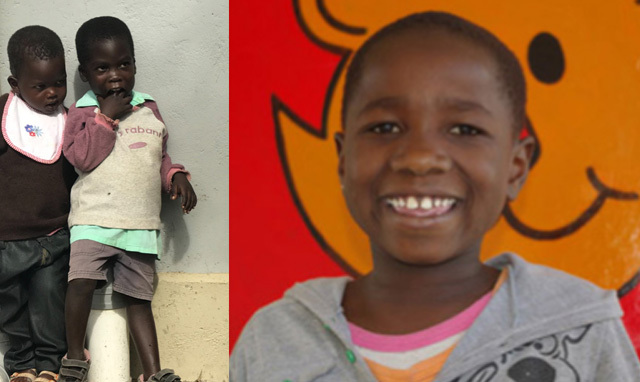 Lulu (14) was born in the Kibera slum and orphaned at just 6 years old. Due to desperate poverty, she was unable to access HIV medication and continually suffered from Bronchitis, Pneumonia, and TB. Sadly she developed deafness early in life after having contracted meningitis, yet another challenge for this little girl. 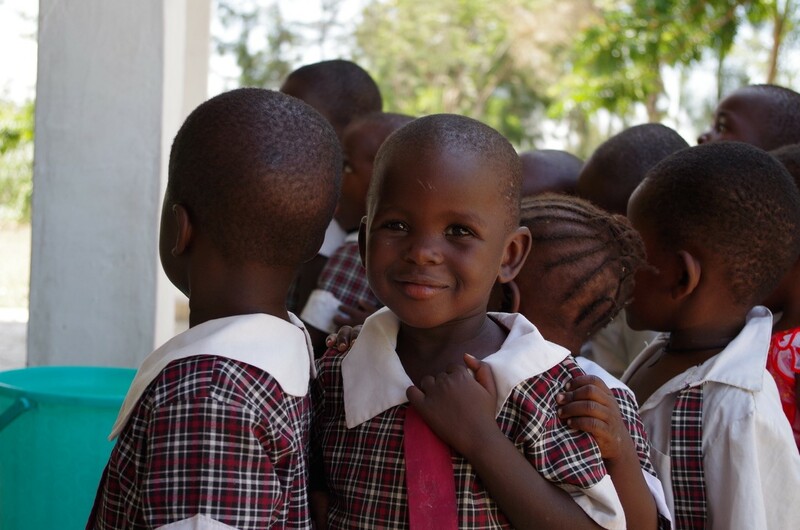 With AiDS Orphan’s support, Lulu now lives happily with the other children at Neema Rescue House. 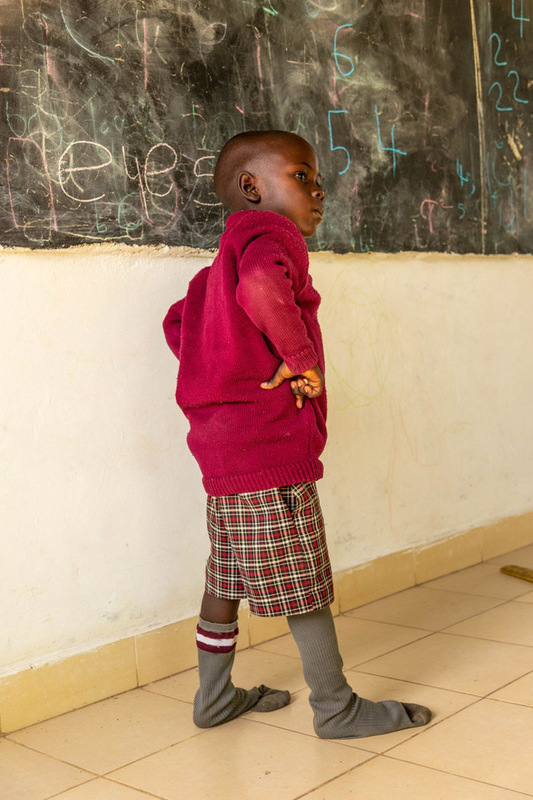 We support her school fees, food, access to medication and help with the extra challenges her disability brings about. Lulu excels academically. Not only is she top of her class, she also sits in the top 5% of academic achievers for the whole of Kenya! Grandmother cares for 7 grandchildren due to the HIV/AIDS epidemic. Mary who had succumbed to the ravages of HIV/AIDS, is a grandmother of 7 children who she is raising as her own. She has a small holding and a house in the village of Ahero. One of her grandchildren shown below is registered at the newly established ECD. I met Mary on my initial visit to the project 2 years ago and was impressed with how she was coping and providing for all of the children. While she tries her best, it is a real challenge for her to feed the hungry mouths and she is really only a substance farmer. The CBO (Community based organisation) has helped her establish her crops and has installed a water harvesting system which helps her water her crops when the rainy season stops. Kisumu county is a region where there is either severe drought or flooding. At this particular moment in time the region is beleaguered by flooding and because of this many, crops are ruined. 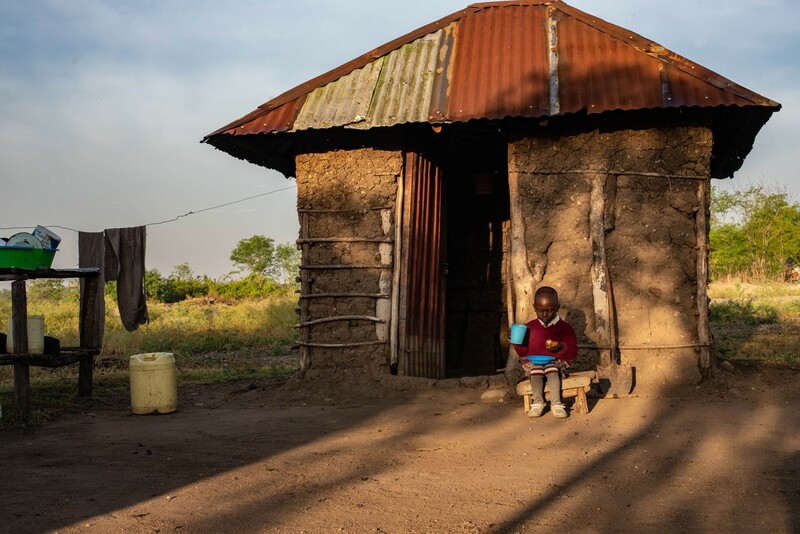 When the ECD started earlier this year, Jimmy, her 4-year-old grandson who is also HIV + came to the school and was suffering from a distended stomach which is a sign of severe malnutrition. He was not very attentive at first but with a bit of love and attention he was given 2 meals a day and has been encouraged to interact with other children and is now learning to play with toys and be more vocal. 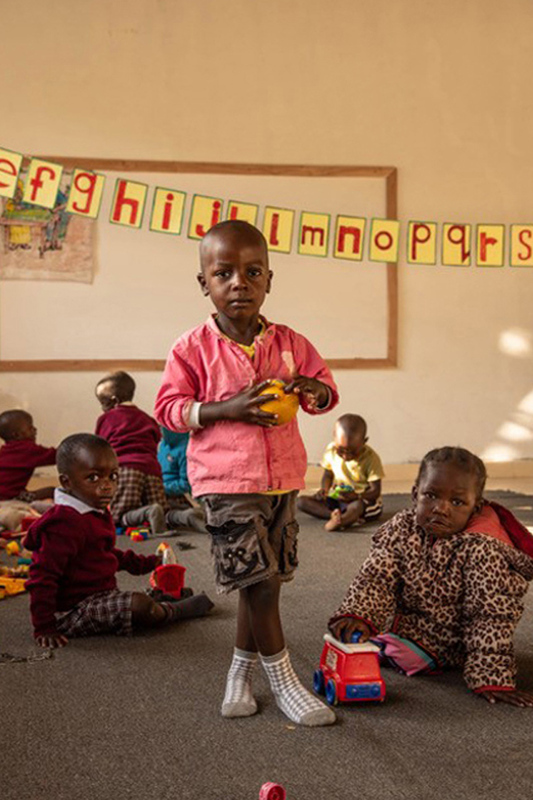 As a result of the feeding programme at the ECD, Jimmy is no longer malnourished and his life transformed through the rare opportunity of learning at this early age.